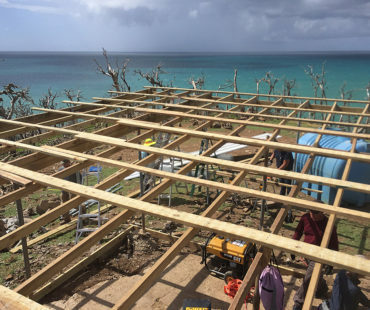 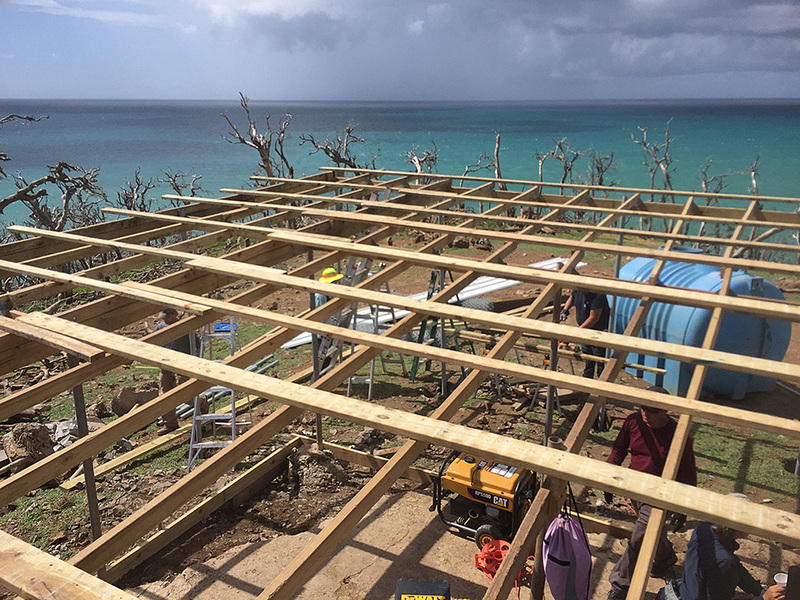 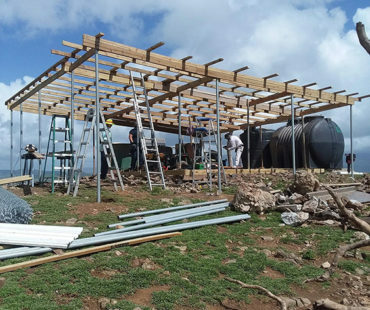 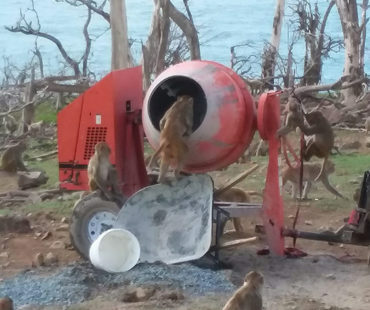 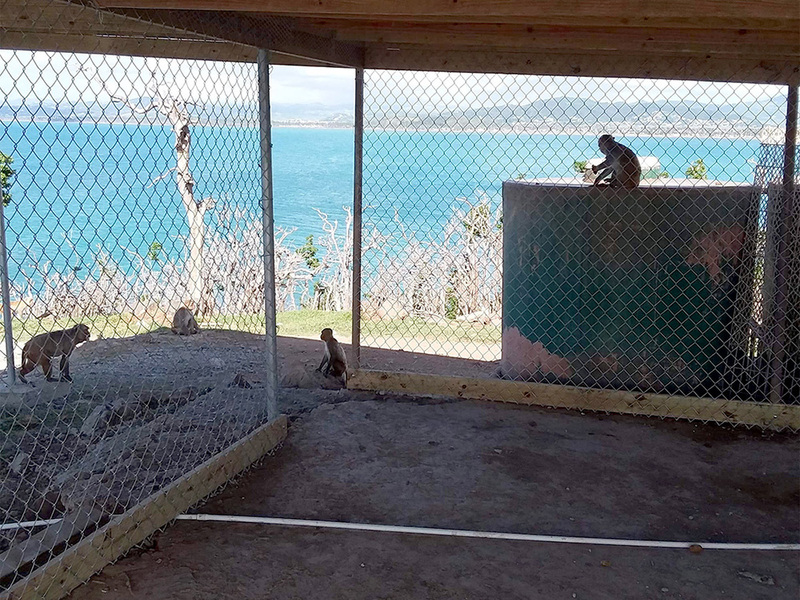 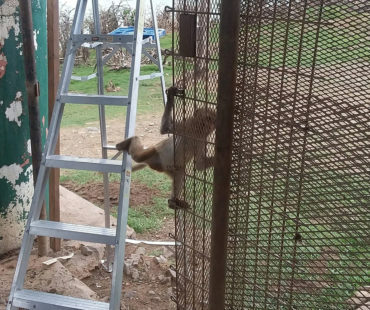 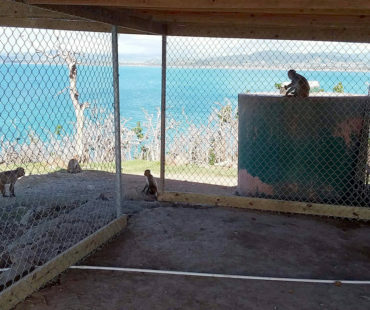 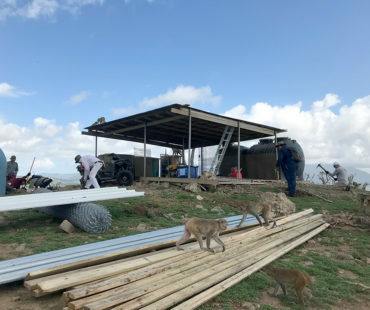 In late August 2018, a team of six volunteers from four different National Primate Research Center (NPRC) facilities arrived in Punta Santiago to assist the Caribbean Primate Research Center (CPRC). 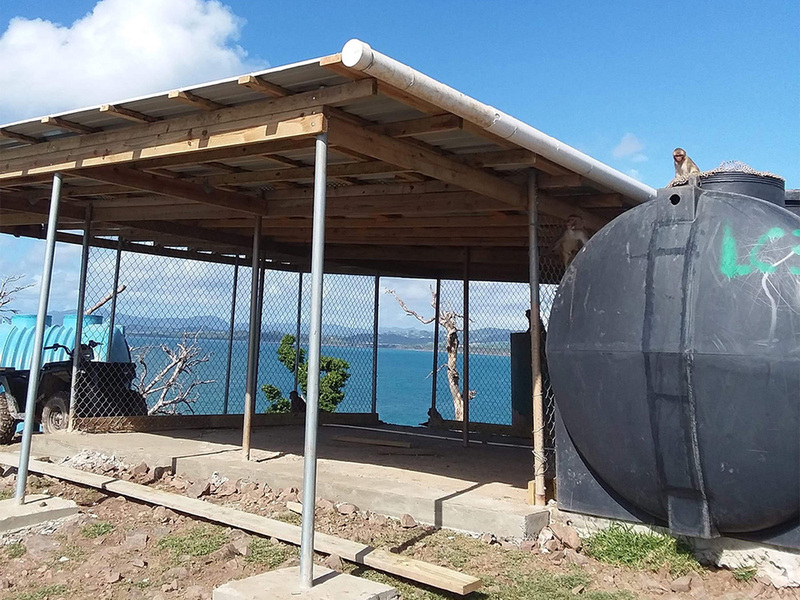 They expanded and enclosed two of the water collection roofs. 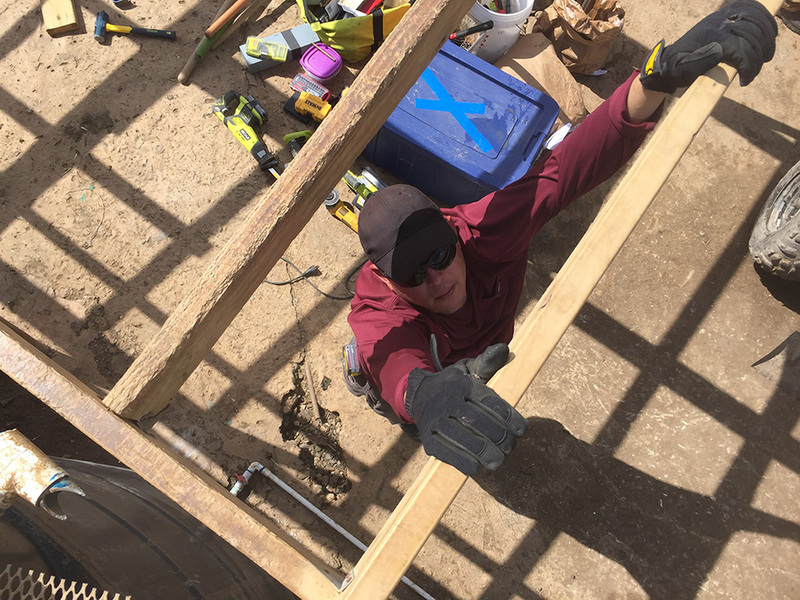 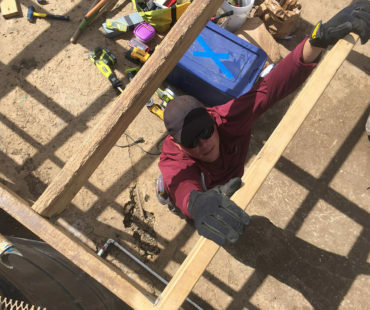 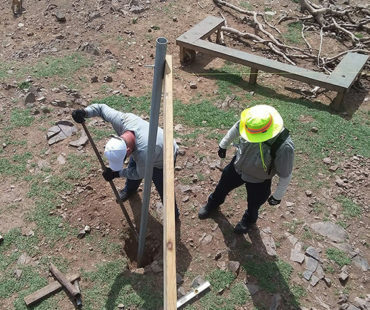 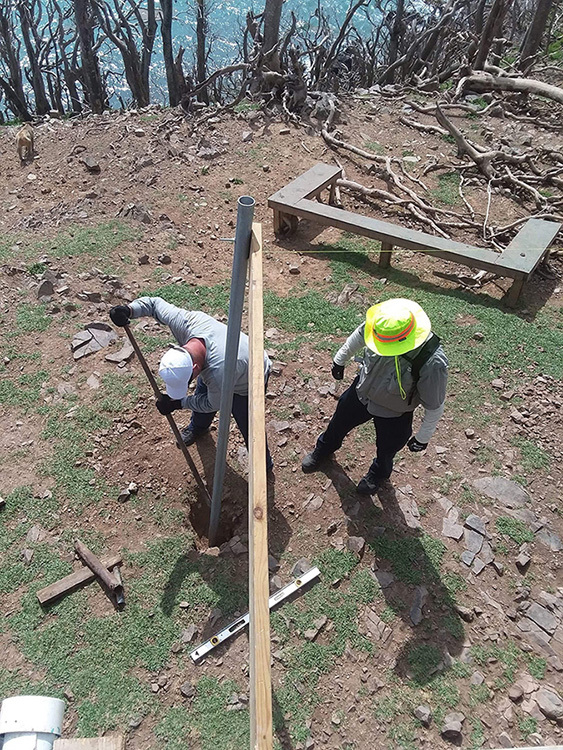 Project Monkey Island would like to thank these six individuals, Robert J., Ron W., Stephen Y., Ted J., Justin S. and Garrett F. for their hard work and non-stop energy with these construction projects. 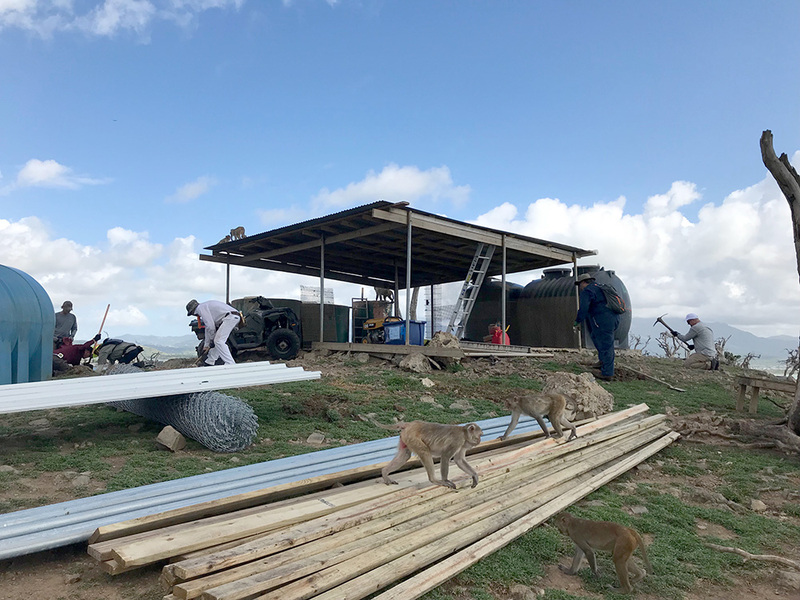 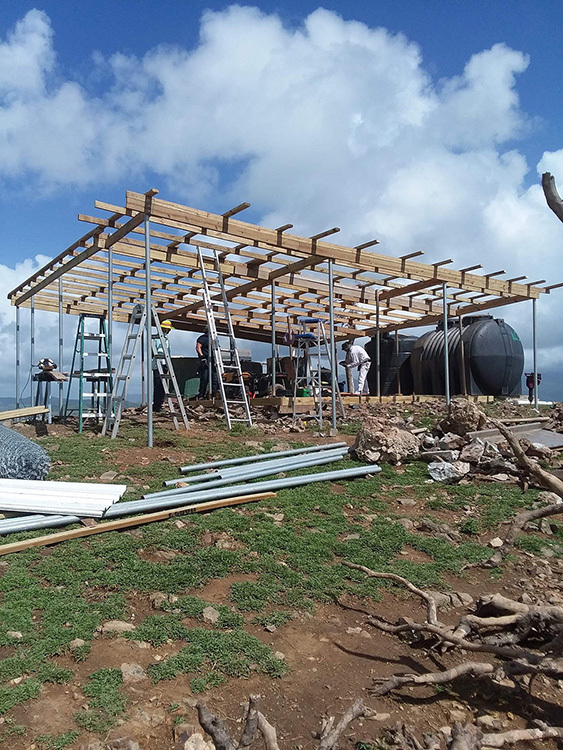 In addition to relieving some of the constant day to day pressures on the CPRC staff, this hard working group of volunteers helped shorten the long list of challenging “to-dos” still needed on Cayo Santiago. 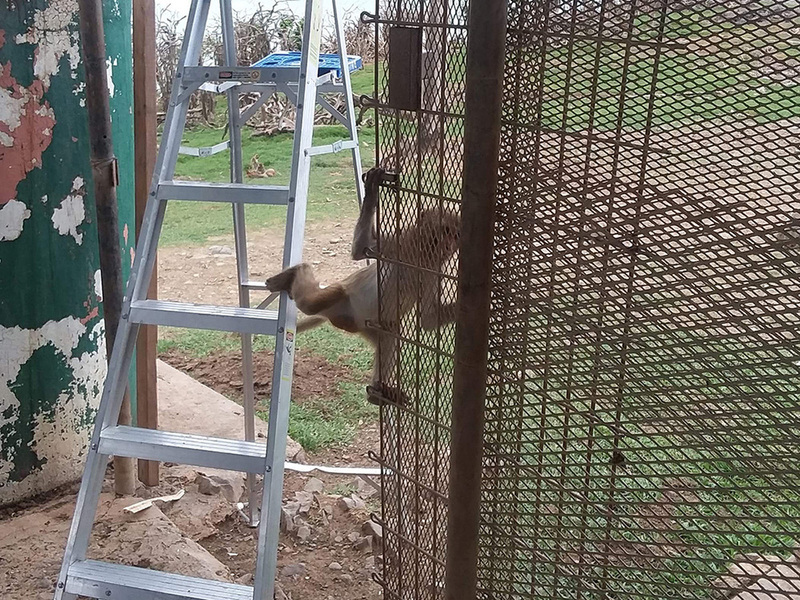 These efforts help bring “Monkey Island” steps closer to restoring the regular daily routines that are, in themselves, so important. 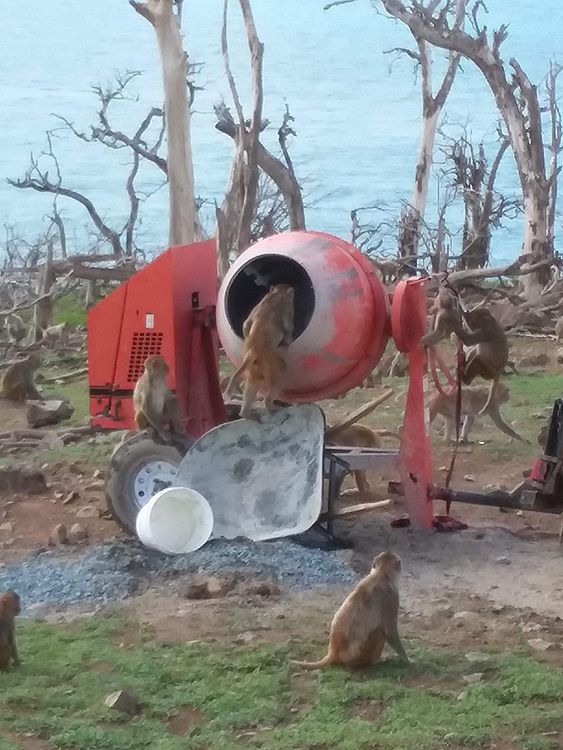 Collecting the invaluable data each day is what establishes one of the most extensive and informative databases of primate behavioral and anthropological research in the world. 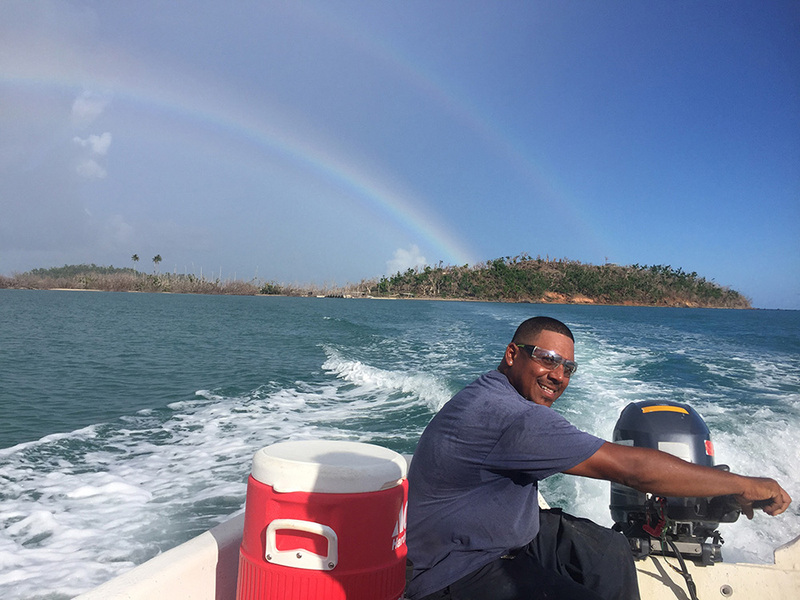 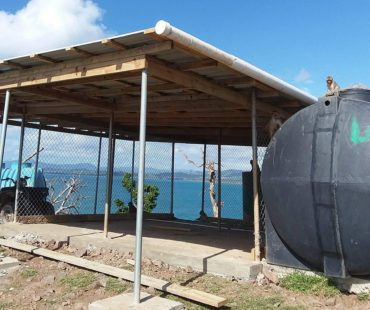 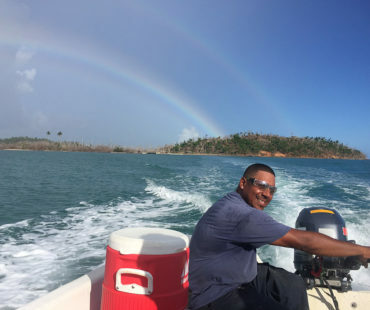 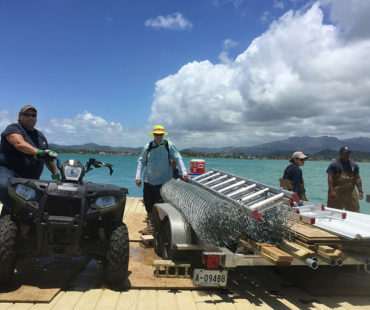 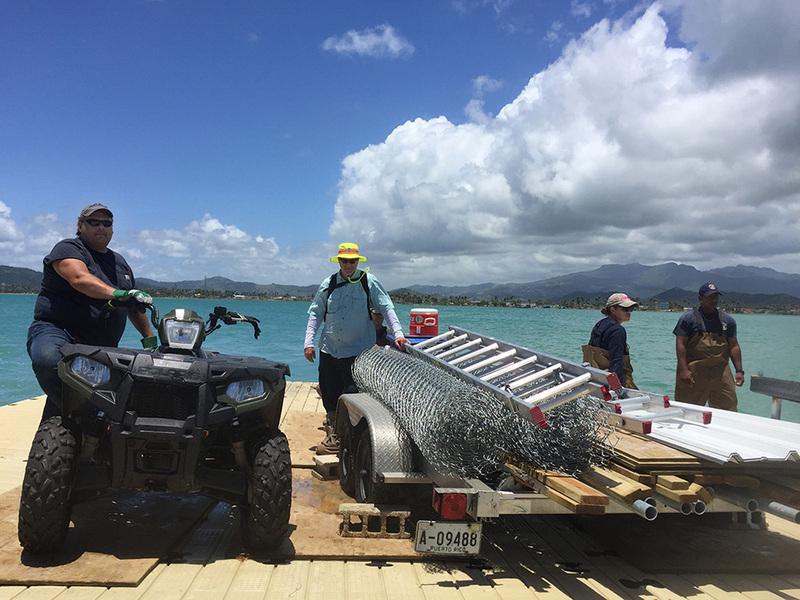 So, thank you to the NPRC team for getting Cayo closer to the goal of “business as usual” and preserving what has taken almost eighty years to create. 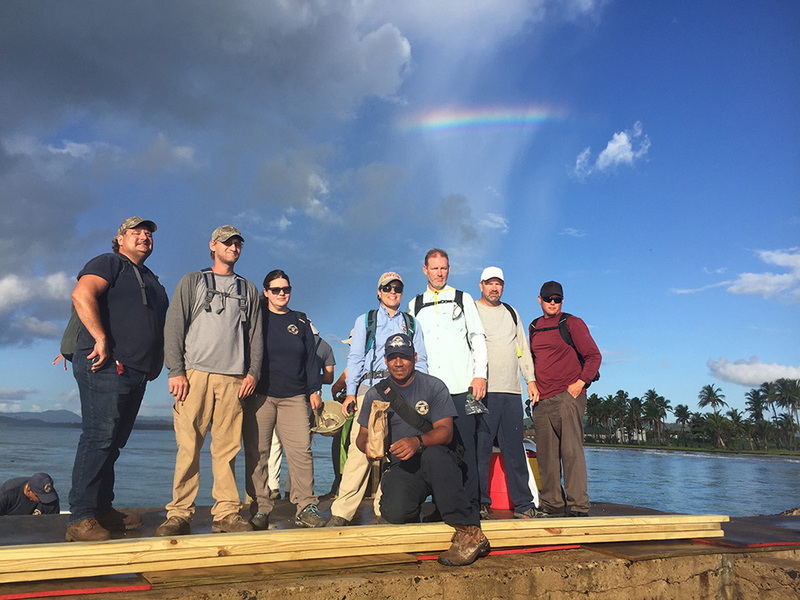 Please visit the video page to see our tribute video to the NPRC Volunteers!